Virginia Beach Tree Service Pros offer trimming, pruning, removal, stump removal, land clearing and other services in Virginia Beach, Norfolk, Chesapeake, Portsmouth and all the surrounding areas. 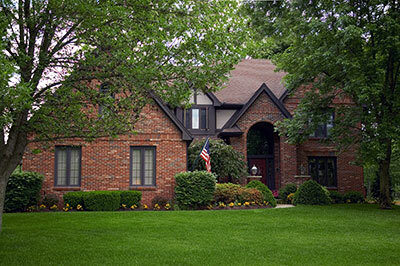 We offer residential and commercial services that span the entire life cycle of your most precious landscape assets. Whether you need help deciding which trees are best suited to your location, assistance pruning, removal of one tree or a hundred trees – our arborists are experienced and enthusiastic about working with you to service your trees. Healthy, adequately trimmed trees can act as an effective barrier to prevent gusty winds from damaging your roof during hurricane season. Trees can offer privacy from your neighbors and buffer noise from busy roads. They absorb excess rainwater to reduce soil erosion and stress on storm water drains. They filter the air we breathe by removing dust and releasing oxygen. As trees grow, problems can arise. 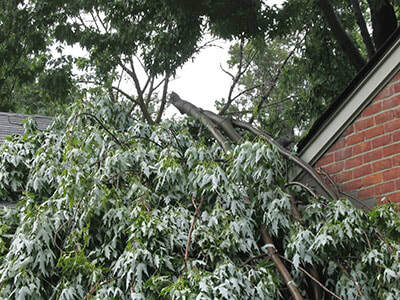 Significant sections may die, and falling limbs threaten injury to people and property. Call us when you want the very best for your property! We are experts in our industry and are fully licensed and insured. We also provide free, no-obligation estimates. Trimming is a vital investment towards the health and longevity of your trees. Our team of arborists takes each, individual tree into account considering the species, location, age and condition to tailor a plan of action specific to your needs. Our staff are knowledgeable on the specialized requirements for hundreds of trees growing in our region, after all, shaping a stately oak tree is a very different task from trimming a tall palm to prepare for hurricane season. Only the most experienced tree surgeons should be trusted to care for your most precious lawn assets. We will help you remove the overgrowth instead of ridding your property of the entire trunk. Doing this provides you with the ability to appreciate your foliage, while enjoying the serenity and beauty it adds to your property. Young trees are especially susceptible to lousy growing habits; however, if the issues are addressed early, they can generally be guided into the shape you originally envisioned. We can quickly assess whether branches are growing in a desirable direction to avoid future issues like poor access to sunlight or intrusive proximity to surrounding structures. We can raise the crown as your tree grows, ensuring ample space to run and play underneath its canopy. By bringing in our experts early, your investment will thrust your tree into a spotlight ready to be the envy of your neighborhood. Many of the plants in your yard require regular pruning and your trees are no exception. Proper pruning can encourage vigorous growth, reduce areas of poor light and air circulation that could contribute to dead limbs, and encourage flowering varieties to bloom at their full potential. The needs of your tree will become different as it grows older. Therefore, more trimming and pruning will be required. As your tree grows into its adolescence stage, you should already have an idea of where its crown will start from. At this point, the lower limbs would have grown into maturity and become permanent limbs. This makes it impossible for the crown to be lifted. Our team takes pruning very seriously. It's our goal for landscaping to flourish, be healthy, and grow appropriately. We use industry-leading techniques to ensure your property is beautifully pruned. The harsh weather that often encompasses our coastal home necessitates regular pruning to prevent susceptibility to disease and pest infestation. We know the most appropriate time of year to prune each particular species to avoid risk. Remember that every cut to a tree is a wound, and only an experienced arborist like the ones on our staff know what a specific plant can and cannot recover from. It’s also often important to scheduling pruning following strong winds or heavy rain. 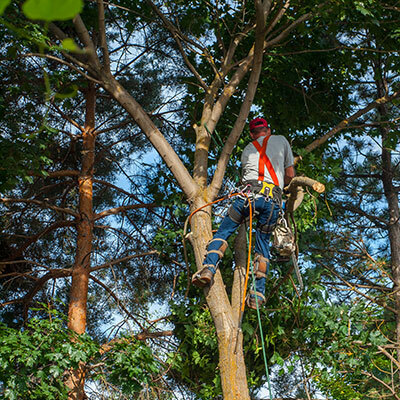 In doing so, we can not only prune for safety, but we can ensure the rest of your tree is intact and secure—if needed, we will also perform full removals. Occasionally, a tree must be removed due to age, the damage it is causing on your property, or to make way for new construction. Whatever the reason, our skilled team is available to assess the situation and, if needed, thoroughly and safely remove any unwanted tree (that is not protected by law). The decision and act of tree removal are never as simple as it sounds; tree removal is definitely not a do-it-yourself project. Only a skilled arborist should be trusted to protect the safety of the people, structures and landscaping surrounding the culprit. Not only do average homeowners not have the appropriate safety gear, such as harnesses and lifts, to scale a large tree, but they also often lack the safety information regarding the necessary distance to maintain from electrical lines or they have not identified the location of buried utilities. One misstep could send a branch crashing through a window and result in a much more extensive repair. Evaluate your trees regularly and look for signs of stress and damage. Trees with unwieldy branches can become significant hazards on your lot leaving you open to liability. Branches that have threaded into power lines and structures needed to be addressed immediately. Roots that are lifting or cracking your concrete sidewalks and driveways can also be wreaking havoc on underground plumbing. Both situations can lead to a complicated and expensive mess if left unattended. If you see any of these signs, do not hesitate to contact us. 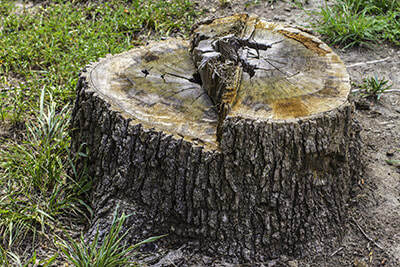 Tree stumps are eyesores in your landscape and letting them remain can encourage future nuisances such as lawn mower damage, new tree shoots emerging or termite infestations. Not just that, but in terms of curb appeal and land usage, stumps are both unattractive and inconvenient. While stump removal is often deemed an unnecessary aesthetical step, we feel that the risks involved in leaving it outweigh the cost of removal. There are two options for tackling stumps: removal or grinding. Removal of stumps involves digging up a section of the root system just below the surface along with the stump and filling in the subsequent hole. There is a temporary recovery period necessary to regrow the lawn; however, the visual evidence of the past tree will be gone. The second option of removal is grinding. Less invasive, grinding involves using machinery to grind the trunk of the tree down so it is slightly below flush with the ground and then cover the shallow indentation. This method is often preferable to removal because it does not leave a hole that may be seen as a prime nesting area by bees or snakes. Grinding is an excellent option for those most interested in smooth mowing and removing tripping hazards. 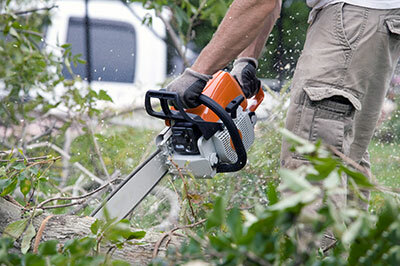 Due to the manpower involved, grinding costs less than full tree removal; however, not having stump grinding after a removal can be a safety hazard. Whether you have a lot of trees that need simple thinning or have a huge lot that requires complete clearing to accommodate an impending construction project, our experts will arrive with the equipment necessary to rid your property of unwanted trees, brush and shrubs. Rest assured that we use equipment with low ground pressure so that the land is left undisturbed. We will remove all debris for you (leaving nothing left to burn or haul), revealing a clean landscape of mulch ready for your project. And if there are special trees on your property you would like to keep, we can provide consultation on the best methods to protect individual trees so that they remain healthy during the construction process and beyond. We are proud to have worked with both commercial and residential customers to take care of all their lot clearing needs. We’ve never come across a job that has been too big or too extensive for us to handle. Regardless of what your reasoning is behind seeking our land clearing services, we will work with you to understand you vision and then we will get to work to turn it into a reality. We are good at what we do, and we can have your acreage cleared in no time. When storms ravage the Virginia coast, we are ready 24 hours a day, seven days a week to aid in the recovery of your landscape. From fallen branches across your pavement to entire trees that topple over uprooted, there is no need to tackle this daunting cleanup yourself. 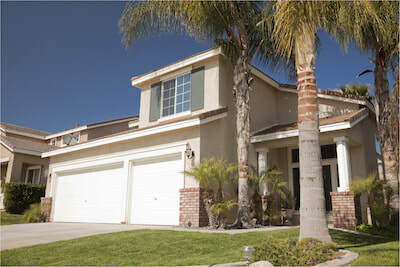 Our expert team will arrive quickly to assess the damage, estimate the costs and return normalcy. And please remember to never, ever go near downed power lines. 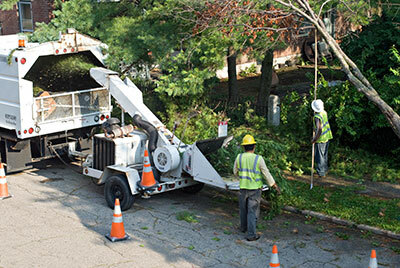 Our crews will quickly clear the property of any hazards or branches. We know that hurricanes are a part of life here, and weather damage is very common. While these strong storms are unavoidable in our area and some damage is unforeseen, remember that the best investment you can make to protect your property against future storm damage is regular trimming and maintenance to keep your trees in the best possible shape to weather storms. Routine trimming services can be surprisingly affordable when you consider the risk involved of someone getting hurt on your property – especially in regards to commercial property. When you find yourself caught in an emergency and you’re unsure how to respond, give us a call and will work with you each step of the way towards recovery for your home or commercial property.